Part 1 - What is MIDI? Electronic musical instruments offer an incredible array of sounds to professional and amateur musicians. They place at a musician’s fingertips everything from traditional, real-world sounds to noises that have never been heard before. All of these devices rely on something called “MIDI.” You really can’t get too far with an electronic instrument without bumping into MIDI. This is actually a good thing, though, since MIDI allows you to do all sorts of exciting musical things. Of course, it helps to know what MIDI is—that’s what this class is for. Once you understand the basics, you can start your own creations and explore the many different ways to use MIDI! MIDI, the Musical Instrument Digital Interface is a protocol developed in 1983 by major synthesizer manufacturers to allow one synth to play another remotely. They tried to figure out a way they could make a second synthesizer play by sending it control data from the first. They figured it out, and more! The developers quickly found out a computer could record and playback 16 channels of this data and it revolutionized the way music is produced. Then they discovered with the right hardware you can have several of these 16 channel bundles (or ports) all running at once. The implications were profound. Now one person could compose multi-part music all by themselves. You can use a MIDI instrument with which you’re comfortable to play the sounds belonging to any other MIDI device, including soft synths. Create rich musical textures by layering sounds from multiple MIDI devices, or assign different sounds to play in different pitch ranges. When you play a MIDI instrument, it produces data that can be captured by a MIDI “sequencer.” When the sequencer plays back the data, your original performance is recreated. Sequencers aren’t just MIDI recorders, though—they let you fix mistakes, change the pitches of your notes, fix their timing, the way they play, the sounds they use, and more. In addition, most sequencers can capture multiple performances on separate “tracks,” allowing you to build up full musical arrangements, one track at a time. 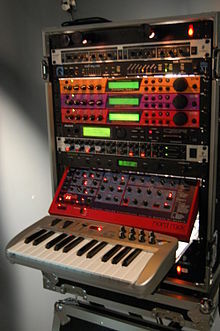 The General MIDI sound set allows you to instantly play back pre- recorded music on many MIDI instruments, or on a computer. One MIDI device can control another, letting you use the most convenient tool for any job. Edit MIDI instrument sounds on your computer, operate an audio recorder from a MIDI beat box, and on and on. MIDI, which stands for “Musical Instrument Digital Interface,” is a system that allows electronic musical instruments and computers to send instructions to each other. It sounds simple, but MIDI provides some profound creative opportunities. Yes, it’s an odd place to start, but one of the things that confuses people new to MIDI is that they assume MIDI is some type of sound, or audio, that travels through MIDI cables. It’s not. A MIDI file contains a set of *instructions* for how the music should be played and what instrument should play the sound. 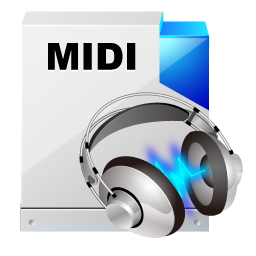 The MIDI file does not contain the actual sounds, it only contains instructions for what sound should be played, how it should be played and when it should be played. With MIDI, the MIDI file (the 'piano roll') tells the MIDI instruments (the 'player piano machinery') what and how to play the electronic sounds, and what sounds should be played. Then you hear the results. With MIDI, you can have a 'sequence' of MIDI commands played by a guitar sound, an organ sound, or even by a shakuhachi! DIGITAL AUDIO can be thought of as a computerized 'tape recorder.' Just like a tape recorder, a digital audio file contains actual sounds, stores them, and can play them back. You can edit the sounds, make them louder or softer, and change the tone quality, but usually you just play them back. Just like with a tape recording, you can't take a digital recording of an electric guitar and simply change the instrument to a church organ or a flute. A Digital Audio recording is a very faithful, high fidelity *record* of what happened at a certain time, in the real world -- not a sequence of commands telling an electronic sound generator how to make sounds (as in MIDI). A MIDI device that controls another is referred to as a MIDI “controller.” Though most people think of MIDI as being just for keyboard players, a wide range of MIDI controllers and control surfaces make it easy for all sorts of players and engineers to harness the power of MIDI. MIDI messages can be defined by a MIDI port and/or a MIDI channel. Each port has 16 different channels that can be used to pass data. MIDI ports are often unique hardware paths, typically indicated by a 5-pin DIN connectors (shown below). MIDI ports can have their own hardware input and output or all ports can be handled by a single USB connection. What's a "Virtual Instrument" and Why Do I Need One? MIDI does not pass audio signal, so if you are using a MIDI controller connected to the computer, you will most likely need some sort of software that will interpret the MIDI and produce sound. This is referred to as a Virtual Instrument, VI, or plug-in. If you are using recording/sequencing software, you may already have some virtual instruments included. 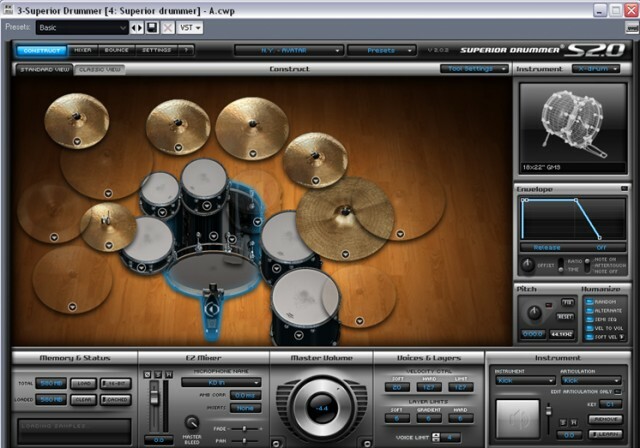 Virtual instruments can consist of a variety of sounds or can specialize in a particular timbre or category. Whether you're looking for great piano sounds, epic drum kits, or the sounds of crashing dish wear, there is a virtual instrument out there for everyone.